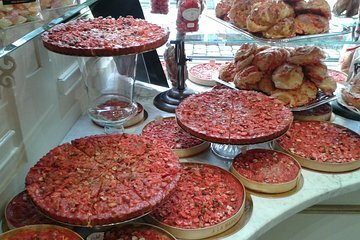 Discover the sweet flavors of Lyon with this private tour and tasting. This gourmet experience begins in the Place Bellecour and takes you to a Voisin chocolate shop to try a famous coussin, named for the “cushiony” texture of its creamy ganache filling. Learn about Lyon’s rich culinary tradition as you walk through the city and sample further pastries, chocolates, and other treats.